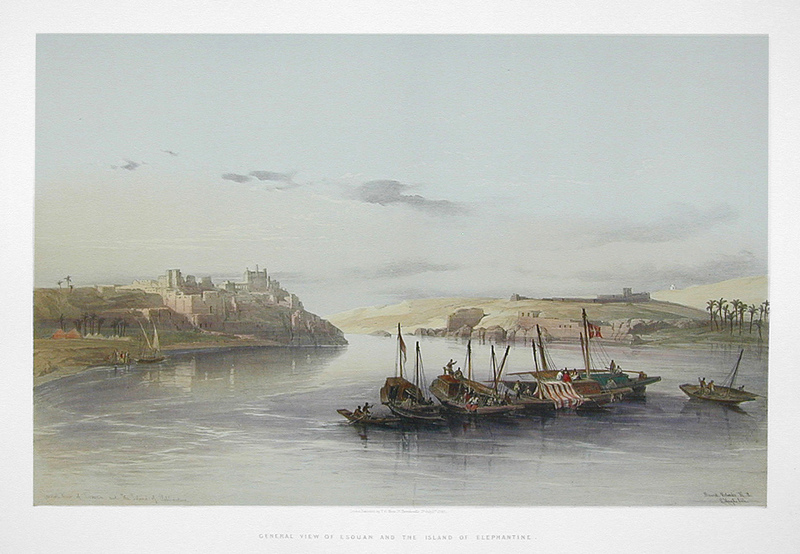 Comments: A fine full folio lithograph of the Nile at Aswan, an area now under water as a result of the construction of the Aswan High Dam. Price: $1,100 uncolored, $1,200 colored. Image: 13 7/16" x 21 1/16"